This historical reference is based on the American Revolution. Paul Revere was a man hired by the Boston Committee of Correspondence and the Massachusetts to carry news, messages, and copies to cities like Philadelphia and New York. 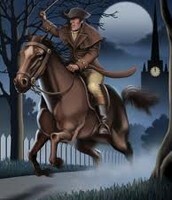 In 1775 Paul Revere was sent to spread the news that the British were coming. And I can give thee nothing in return." Inside the poem there are end rhymes almost in every stanza. An end rhyme is when there's a rhyme at the end of the line. The poem uses imagery to make the poem look more descriptive. Imagery uses words that appeal to the five senses. "Till the silence around him he hears/ The muster of men at the barrack tramp of feet,"
End Rhyme: "Paul Revere's Ride". Longfellow, Henry. N.d.:n.p.630.Print. 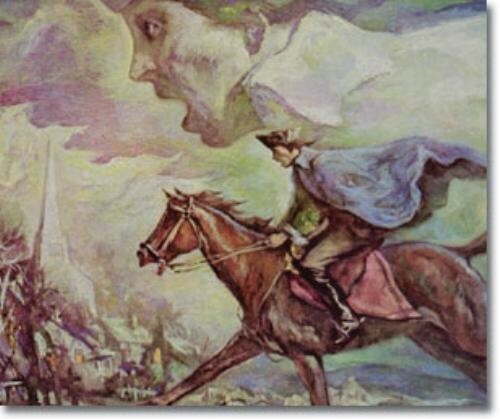 Personification: "Paul Revere's Ride". Longfellow, Henry. N.d.:n.p.630.Print. 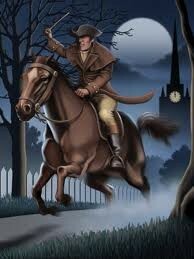 Imagery: "Paul Revere's Ride". Longfellow, Henry. N.d.:n.p.629.Print. Connective poem: Longfellow, Henry. "A Nameless Grave" Poemhunter.com. N.p., n.d. Web. 16 Jan. 2014. 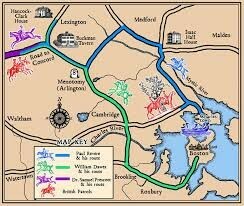 Historical Reference: The Real Story of Revere's Ride. N.p. : n.p., n.d. Print.